The artist sought to convey and perpetuate the image of the people of socialism, to make them like the Greek Gods, the heroes of those times. And it would seem that a simple tram worker, what is special about her? 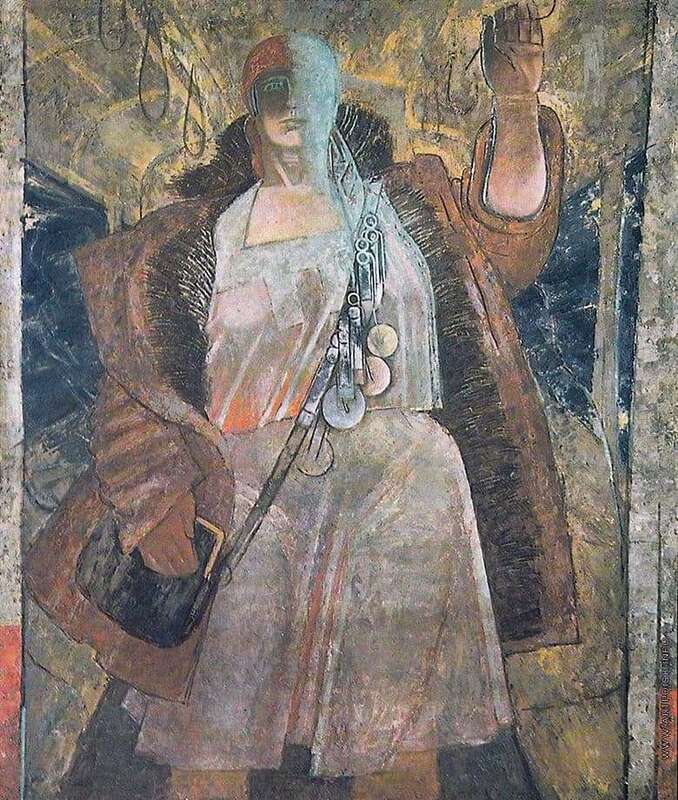 But Samokhvalov compared her with Athena, and moreover, he argued that if the conductor had met on the goddess’s path, the latter would have been struck by the strength of the Soviet woman. And all because this work is distinguished by the picturesque colors, the severity of all the elements characteristic of that time and the majestic solemnity. The master created his paintings exclusively from scenes captured in memory. It was such a monumental working socialist woman – the heroine of labor – imprinted in the corners of his memory. Ak, thanks to Alexander Samokhvalov, the Soviet people have a new, so far removed from the former fragile and thin young lady of the last century, the ideal of the modern woman.